In a forest, the underground network of mycelium enhances the health and wellbeing of that entire ecosystem. In a similar way, it is the unseen connections that support a thriving community. In Tasmania, those of us who produce, prepare and present food of the highest quality are fortunate to enjoy professional collaboration founded on genuine personal relationships. We love this combination of small place, special people and superb quality. Like-minded folk such as Aimee and Ian from Little Isle Mushrooms fit this bill perfectly. They have such integrity and passion for their produce. 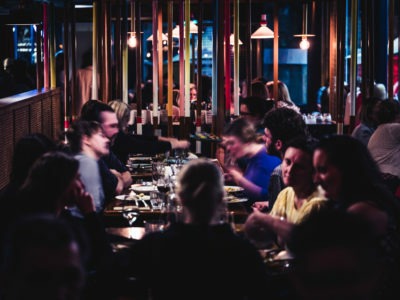 Sourcing this level of excellence – with low food miles into the bargain – is a top priority for Suzie Luck’s Asian influenced restaurant and a key factor in making Suzie one of the top new food experiences in Hobart. Little Isle Mushrooms is an inspirational small business, nurtured by the passion and commitment of Aimee and Ian for fungi of all shapes and sizes. They are carefully building up their capacity with quality being their Number 1 focus. They now supply several of the best restaurants on the Hobart waterfront. We relish our connection with them as well as the perfection of their mushrooms – which are of course a mainstay of the menu in our highly respected Asian-inspired restaurant. The guys from Small Isle with our Sous Chef, Jess Hoyle. Growing up, both Aimee and Ian had an affinity with Nature. Aimee would be found amongst the tall grass, listening for frogs and adoring her pet goats. In Malaysia, Ian was fascinated by insects, often hunting bugs or studying things under his toy microscope. Having met in 2013, Aimee and Ian began exploring their mutual love of Nature and growing produce. After many trials, experiments and research, they began growing gourmet mushrooms. With a 1x1m greenhouse and a spray bottle, their first 200 grams of mushrooms were sold in March 2018. Little Isle Mushrooms was born. Little Isle Mushrooms now produces 25kg a week and will expand production throughout 2019. 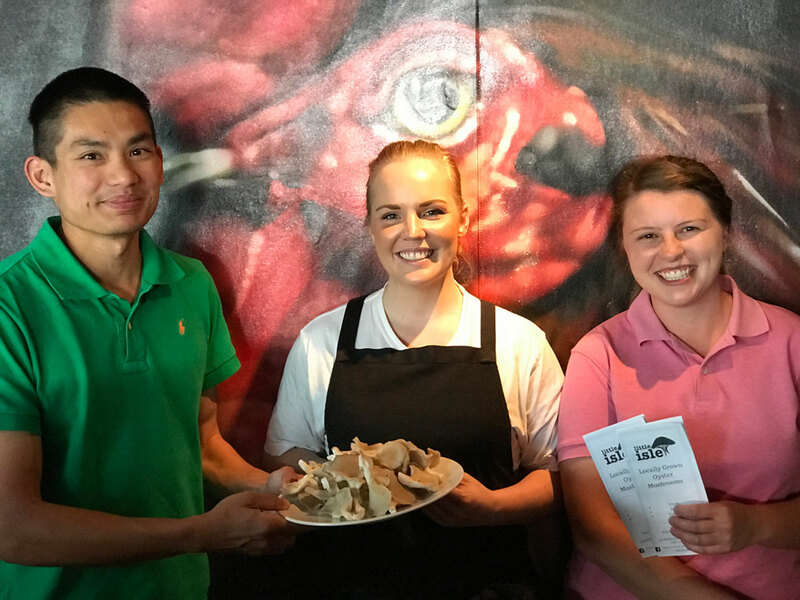 Aimee and Ian are proud to be supplying Chef Ryan, Kif and their team at Suzie Luck’s with fresh mushrooms weekly. You can find Little Isle Mushrooms on Facebook, Eumarrah and at the Banjo’s New Norfolk market on Saturdays.